With Oklahoma City the 27th largest city in the United States, having a population of 612,000, it has many opportunities for continuing education in online marketing. As part of our directory of SEO (Search Engine Optimization), social media marketing, and marketing (generally) opportunities for adult learners, here are our selections for continuing education in marketing in the Oklahoma city area. Please note that we can provide corporate training on these topics by custom quote (minimum of 5 participants). Free Directory. Use this free directory of Oklahoma City continuing education programs in marketing to find possible SEO, Social Media Marketing, and/or AdWords training classes. Be advised that all programs and schedules are subject to change without notice; the JM Internet Group assumes no responsibility for listings in this free directory. Leveraging Free (and Low Cost) Marketing Education Opportunities In Oklahoma City. Small business owners and marketers, entrepreneurs starting their own businesses, and even non-profits can (and should) avail themselves of free Internet marketing opportunities ranging from Google / Bing optimization to Facebook or Twitter marketing to simple tactics to use “real world” marketing to improve their performance. We at the JM Internet Group are all about learning and doing… If you know of a continuing education opportunity in the Oklahoma City area, please contact us for free inclusion (non-profit organizations, only)! Continuing Education in (Internet) Marketing: Oklahoma City. Francis Tuttle Technology Center offers a course in business marketing and management. East Central University has a course in Business Administration, which includes Management Information Systems, Marketing, and Management. Oklahoma City University has a vibrant continuing education program, including degrees in business. However, by far, your best option is to travel up towards Tulsa, and visit Norman, home of the University of Oklahoma. Called University Outreach, OU’s continuing education program is THE place for adult learning in the Oklahoma City Metro area. Check out their Career Training programs, for sure. 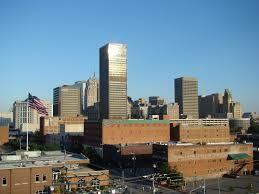 Another great place to learn marketing in Oklahoma City is to join the AMAOKC. Oklahoma City is some 1,600 miles from our location in San Jose, California. With plane fares estimated at $750 round-trip, plus workshop time of 8 hours and 1/2 hour of preparation time for each hour of instruction… assuming you have a group of at least 5 persons, an in-person, private workshop training in SEO / Social Media / and/or AdWords would run roughly $1200 plus expenses. So your options are to either use the continuing education resources listed above (be sure to check their course catalogs for course offerings, as these vary over time), to use online training, or to contact us for a private workshop. We also provide one-on-one training online. Here are some fun facts about Oklahoma City. The name of the city comes from Choctaw words okla, meaning people, and humma, meaning red, so literally “red people”. The Capitol building at Lincoln and 23rd is the only Capitol building in the US with an oil well underneath it. There are more man-made lakes in Oklahoma than any other state. The first ever parking meter was in Oklahoma City in 1935, and in 1937 the first ever shopping cart was used at Standard Food Markets. The Capitol building was finished in 1917, and was supposed to have a dome, but the money ran out. The dome wasn’t added until 85 years later in 2002.